Coach Alli grew up in Idaho and spent her childhood running around outside with her friends. She was the game organizer and loved planning what she and her friends would do next. 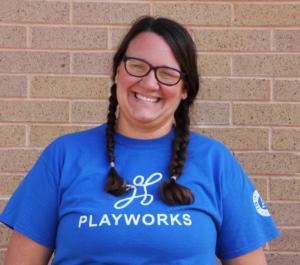 When she read about Playworks, it sounded like an ideal fit. For Coach Alli, getting to lead kids in outdoor activities is a dream job. 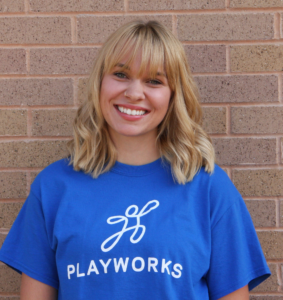 Coach Ashley has been in search for a place to be that aligns with her morals and values, and after hearing about Playworks and the way it has served it’s community got her excited about joining an amazing team. 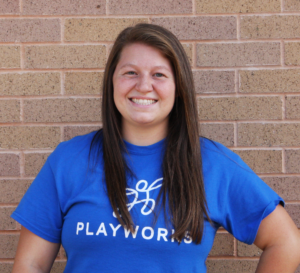 Coach Ashley has worked in child care for about eight years and although she loved her job, she was in search for something different believes that Playworks is it! Coach Brady is from Pinedale Wyoming, and currently attends Salt Lake community college with hopes of attending the University of Utah in the future. She found Playworks and loved the mission. She thrives on inspiration and feels that is something she will find a lot of in this next school year. 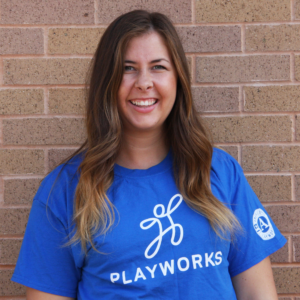 Coach Haley is very excited to embark on her second year serving as an AmeriCorps coach with Playworks. She loves watching the kids on the playground as they learn a new game and share it with their friends.  This is Coach Heath’s third year serving as an AmeriCorps member. 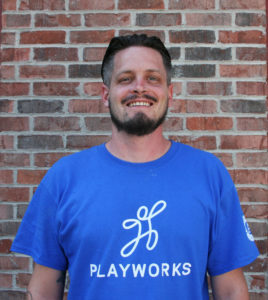 After graduating from the University of Utah with a bachelor’s degree in psychology and minor in music, he discovered Playworks. In his transition to “adulthood,” he found it to be the perfect fit in his quest to work hard and play harder, all while serving the community. 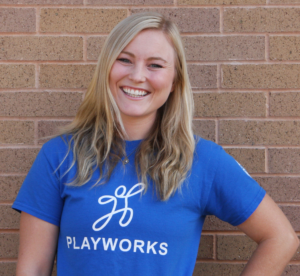 Coach Heather is in her second year serving as an AmeriCorps member with Playworks, and has been working with kids at recess every year after her college semester ended. She loved taking physical education and gym classes all through high school and college and is excited to play games and be outside at recess with the kids. 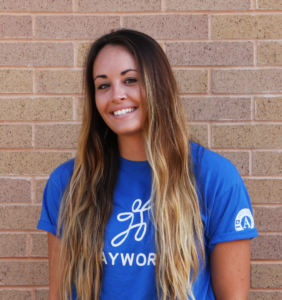 Coach Heathery Y. was fortunate enough to work with AmeriCorps before joining Playworks, and she really enjoys contributing to her community. She is excited to work with elementary school kids and do leadership training. 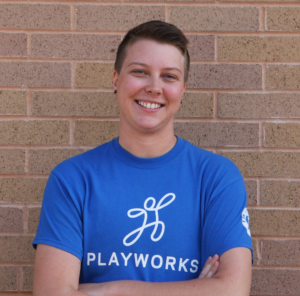 Coach JT found that Playworks was hiring online and he was in a rut with his current job, so he decided to give it a shot because this is the field he really wants to be in! Coach JT is excited to learn from all of the coaches and to meet all the students! For the past two years, Coach K has been working towards an Exercise Science Degree at Idaho State and, and struggled to figure out where she wanted to take her degree. Sports have always been a big part of her life, and when she came across Playworks and the mission, she got super excited. Coach K can’t wait to experience the love, types of sports, and leadership she can embrace in children to share with others inside and outside of school. Coach K has a background in teaching and got her degree in Physical Education. She spent over 20 years as a stay at home mom and now she’s excited to get the opportunity to use the skills she learned in college. Coach K is most excited about what she will learn from the students she has the privilege to work with! Coach Lobo grew up with another than normal life and it kind of steered him down the wrong path, so he quickly decided to change his lifestyle. Because of the life he led, he wants to help kids not go down that path, therefore he got into childcare, and once working in childcare, he noticed how most childcare doesn’t encourage healthy lifestyles and it bothered him. 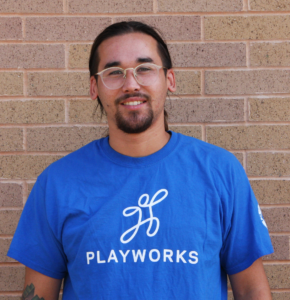 Then he came across Playworks and it just seemed to be the perfect fit for him. Ever since she was a wee lass, sports have been a huge part of shaping who Coach Mo is, and have become her passion later in life! When she’s not in class at the University of Utah or trying not to embarrass herself on the soccer field, you’ll most likely find her cheering on the Utes’ football team—home or away. Coach Mo feels whole when she serves others, and she would love nothing more than to found a nonprofit organization to give underprivileged kids the athletic equipment and opportunities they need to pursue their own dreams just like she was given so many years ago. Coach Mo has a great big dream to become a Game Day Operations Manager in the NFL someday. 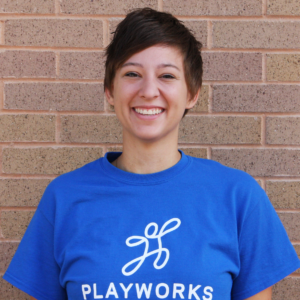 She’s so excited to be an AmeriCorps Coach with Playworks this year! 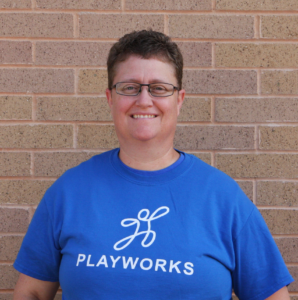 Coach Nellie is a fun, firm leader and she is very excited to work for Playworks! As a PE teacher for the past two years, she looks forward to sharing her knowledge with those she works with! Seeing kids learn games, improve individually and play together is what Coach Nellie hopes to achieve! 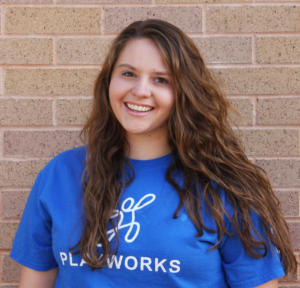 She looks forward to having fun, helping anyone she comes across, and leave a positive impact as a Playworks team member! Coach Nic is in her second year serving as an AmeriCorps member, and knows her calling in life is working with children and doing what she can to change their lives and future for the better. 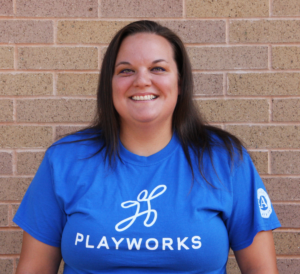 She was very excited to find Playworks and have the opportunity to join the team and continue to do what she loves. 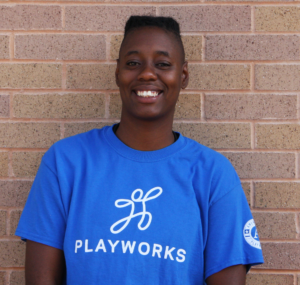 Coach Rae loves that Playworks has the ability to bring out the best in every kid for a healthier community and is excited to start her first year as an AmeriCorps Coach! 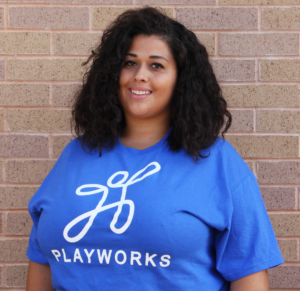 Coach Tayzia feels like the jobs she had before Playworks have prepared her for and led her to the organization. She is excited to work with school children in this capacity and can’t wait to see how much she learns from them!